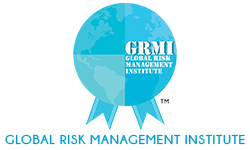 Mr. Dali is the President of the Global Institute for Risk Management Standards. G31000 is the label for the Global Institute for Risk Management Standards, an international non-profit organization raising awareness on ISO 31000 and associated ISO standards. Presently, Mr. Dali’s aim is to raise awareness about ISO 31000 Risk Management and associated ISO standards.